The Christian In Complete Armour is a classic work about a Christian’s spiritual warfare. Check out my review of this amazingly insightful book by clicking here, and check out other quotes I’ve shared from this book by clicking here. I loved this book! 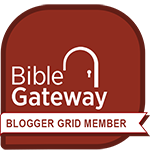 Check out my review of The Christian In Complete Armour by clicking here. You can also check out the other sets of quotes from this book by clicking here. Am I like Him in my thoughts and in the way I spend my time? If He were physically living on earth right now, would He do what I am doing? Would He not choose His words more carefully than I do? Would silly speech come from His lips? Would He enjoy my friends? Would He spend a fortune pampering His body, and swallow enough food at one meal to feed hungry people for a week? Would He be fashion-conscious, even if that made His appearance ridiculous and offensive? Would His hands be busy with games that drive time away? 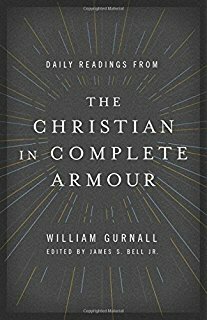 William Gurnall penned wise words for Christian warriors nearly 400 years ago, but their timelessness is still evident today. Check out a few more quotes from The Christian In Complete Armour. You can read my full review of William Gurnall’s book by clicking here. I have shared other quotes from The Christian In Complete Armour here, here, and here.